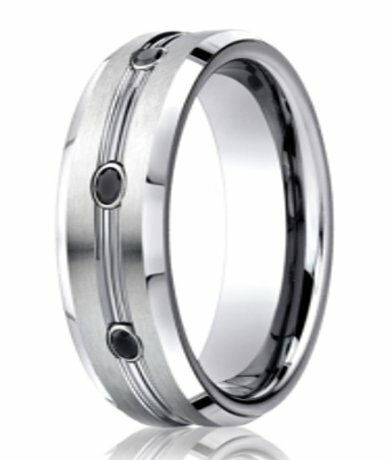 A magnificent example of a bold ring design, this 7.5mm comfort-fit Benchmark cobalt wedding band has a striking combination of satin finish and 3 black diamonds set against a polished accent in the center. The team were exceptionally helpful, courteous and quick to act on my order. 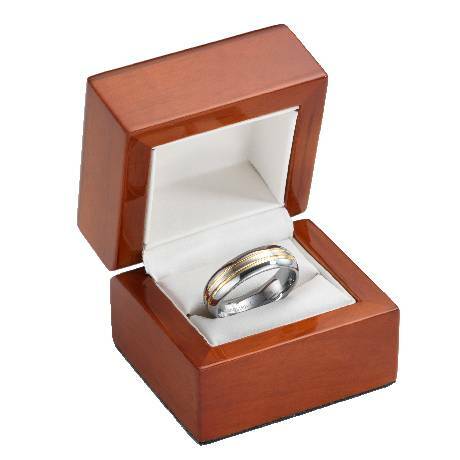 The ring arrived quite quickly considering it was an international delivery, and I could not be more impressed. The quality, size, weight, description. All perfect. 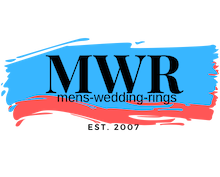 I highly recommend Mens-Wedding-Rings.com to anyone looking for their wedding band. Jason.